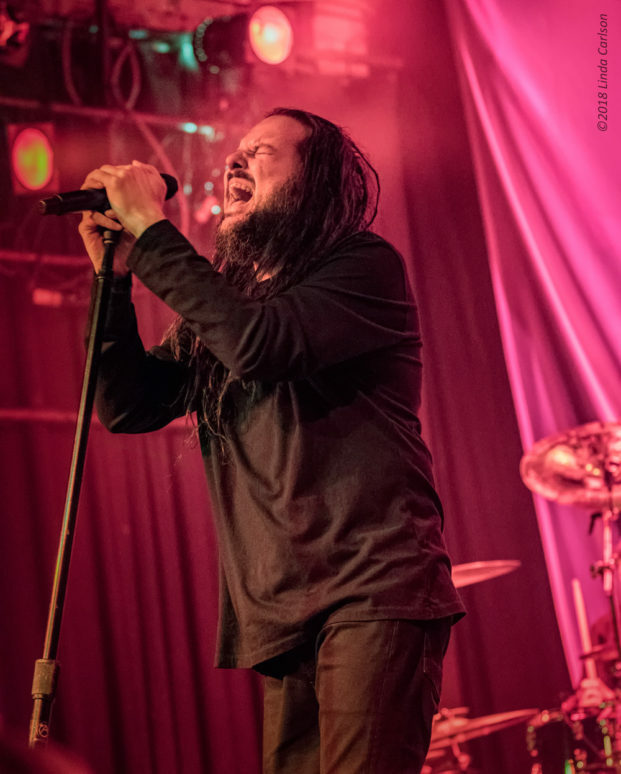 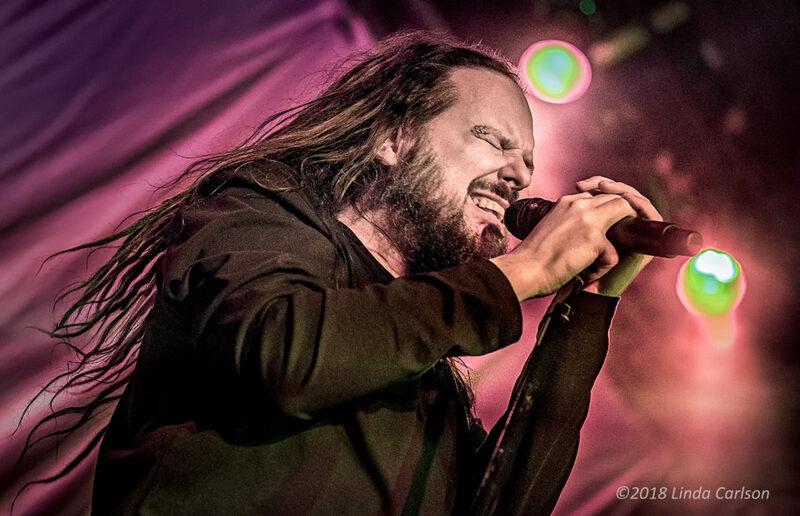 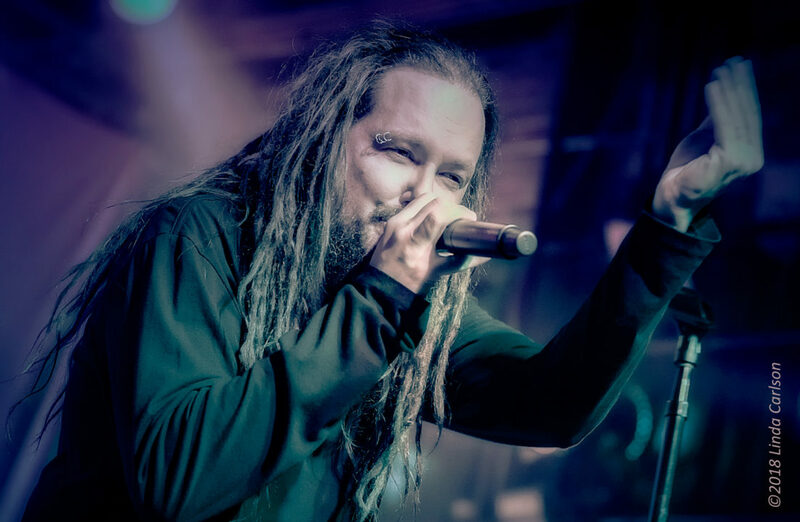 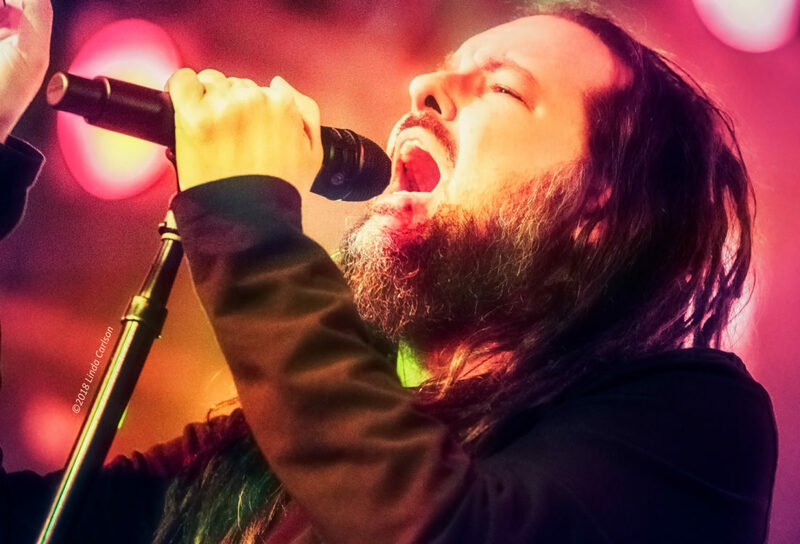 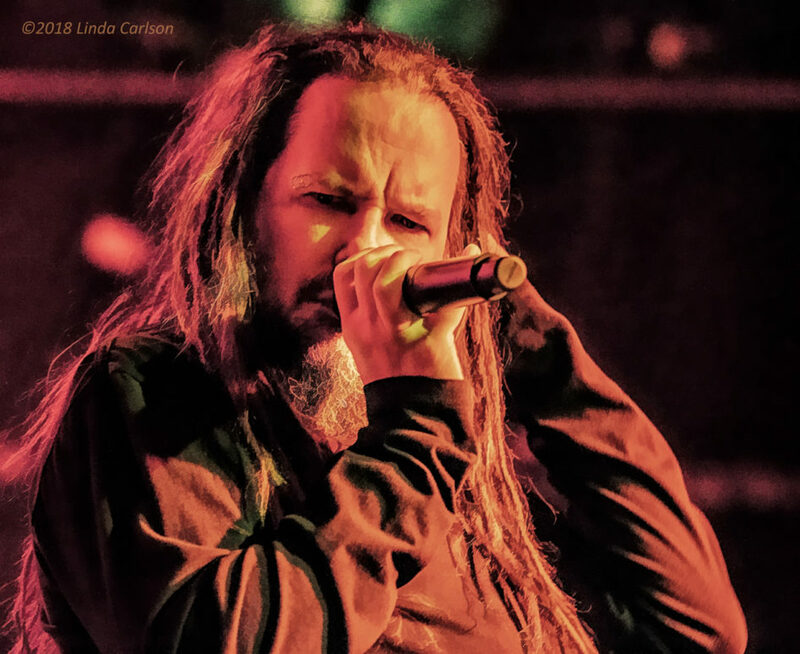 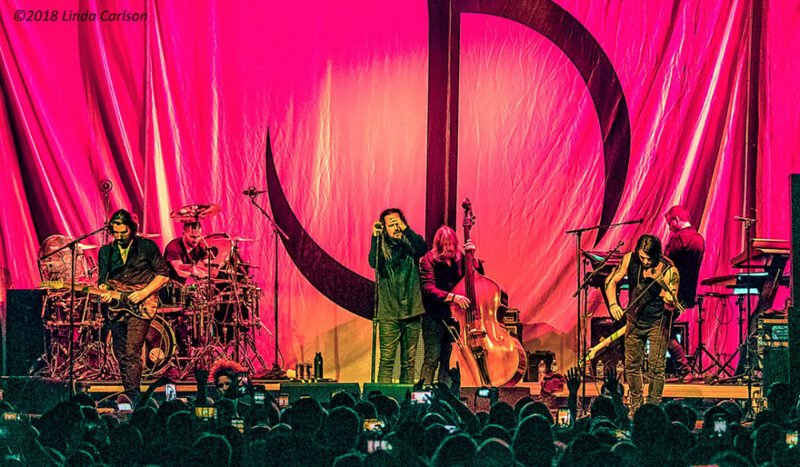 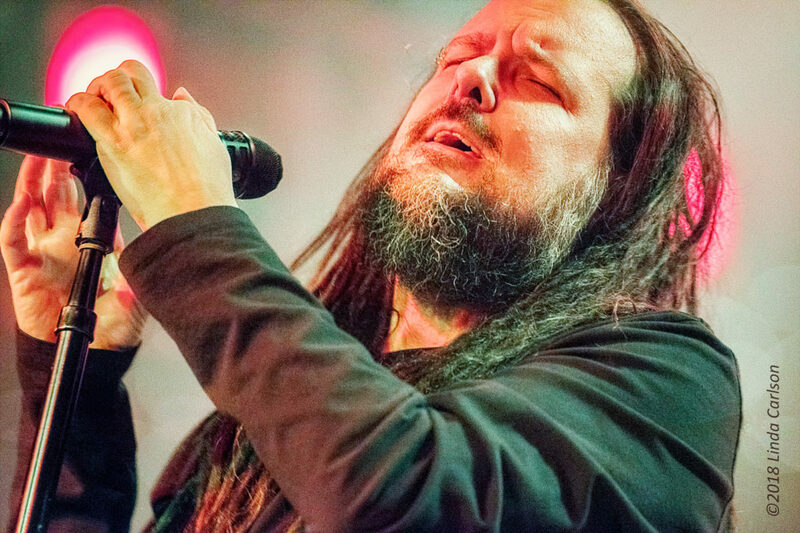 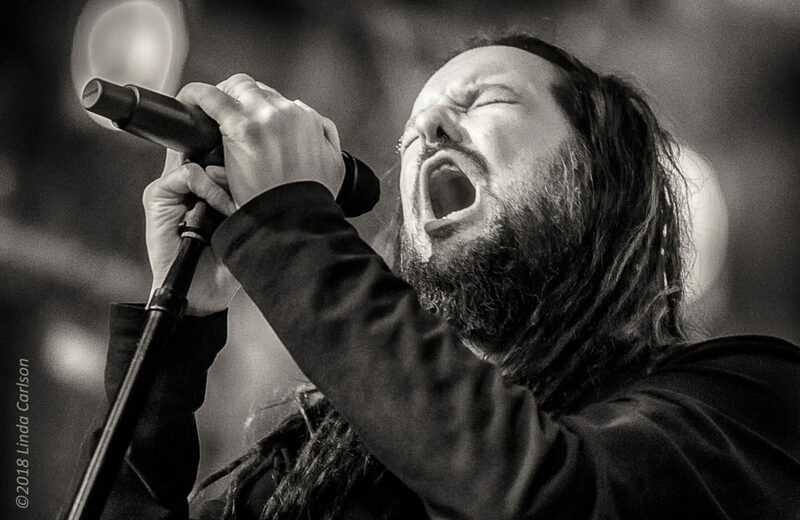 Cincinnati, OH – Jonathan Davis, lead singer of Korn, made a stop at Bogarts on May 8, 2018 during his spring solo tour to promote his upcoming album, Black Labyrinth. 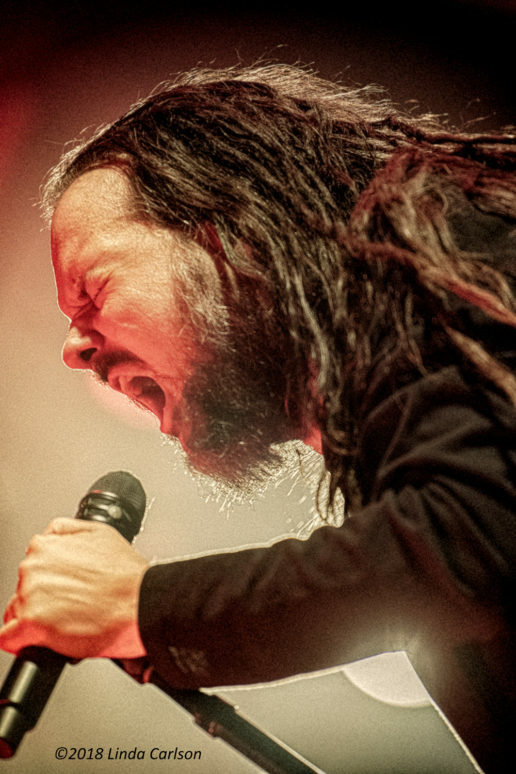 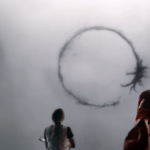 Ten years in the making, the album represents a somber and complicated view of the world. 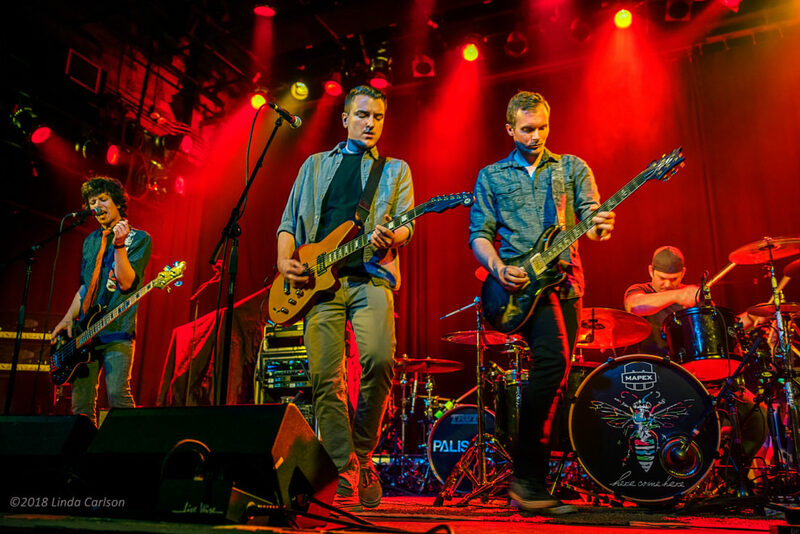 The evening’s entertainment began with local Cincinnati band Here Come Here, followed by New Jersey’s Palisades. 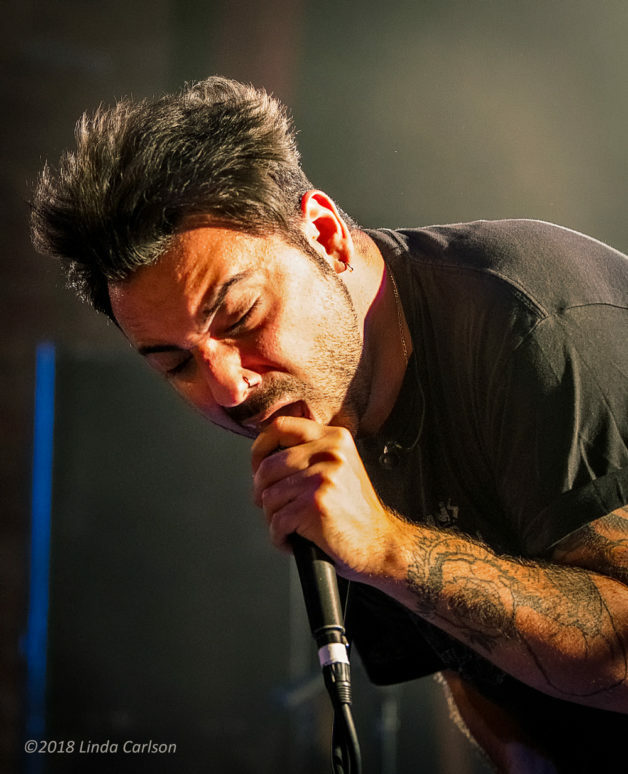 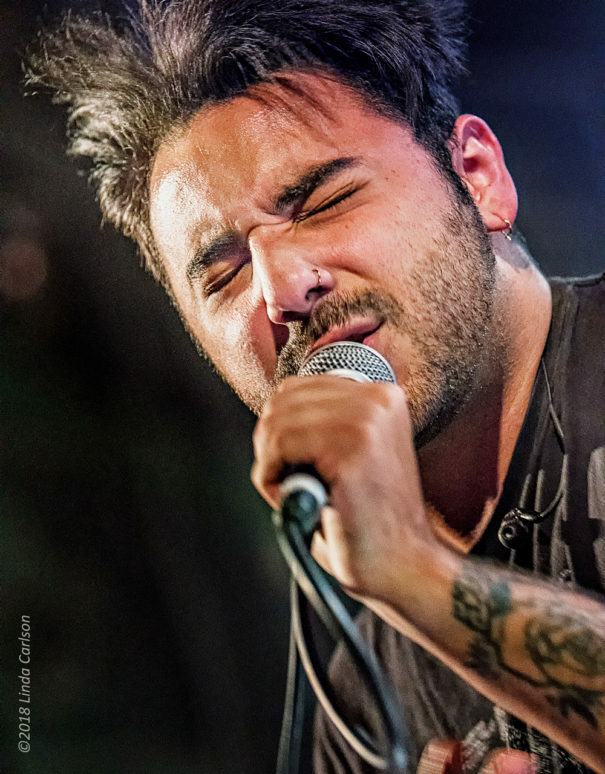 Palisades has been hitting the festival scene of late, with a strong stage presence, and dynamic vocals by Louis Maceli (lead vocals) and Brandon Elgar (clean vocals, bass). 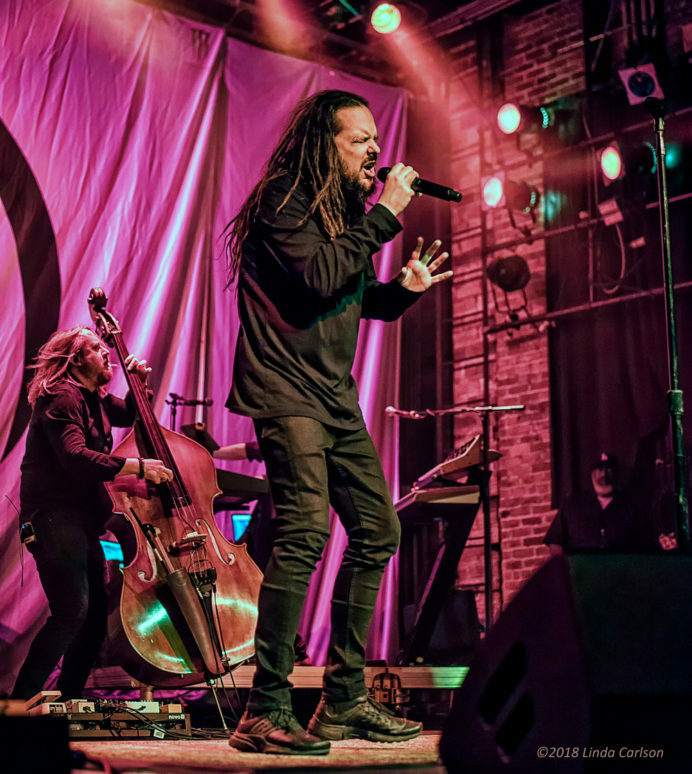 With fans primed and ready for the main act, Jonathan Davis was welcomed with heavy applause. 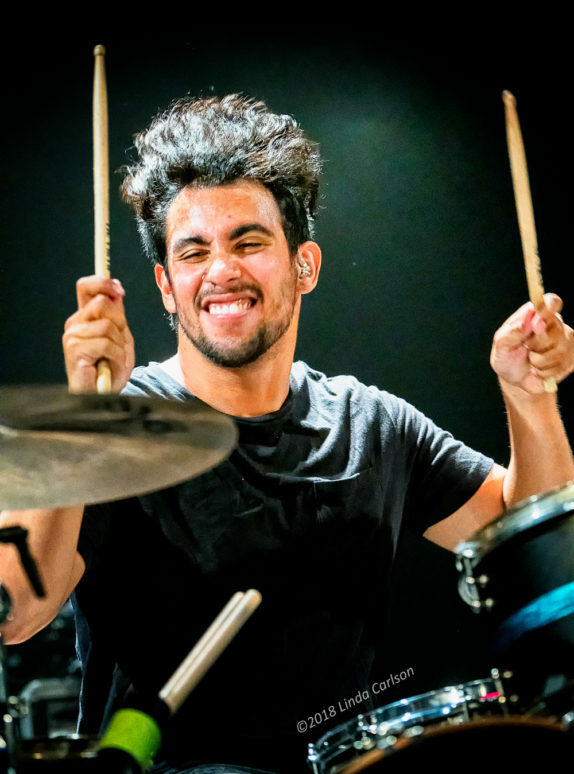 His smile lit the stage. 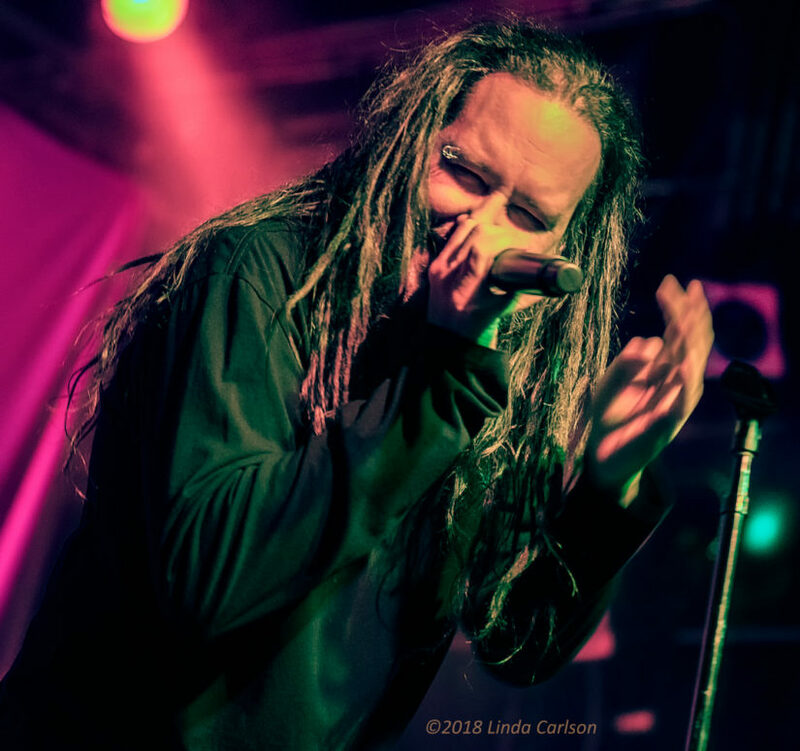 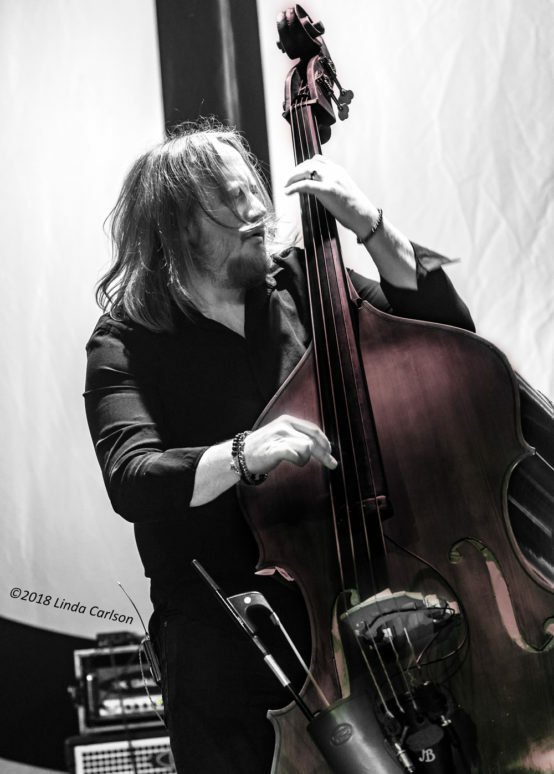 Accompanied by Korn drummer Ray Luzier, along with a session guitarist, violinist, keyboardist and stand-up bassist, Davis led the set with “Underneath My Skin,” a poetic reflection on life’s meaning and purpose. 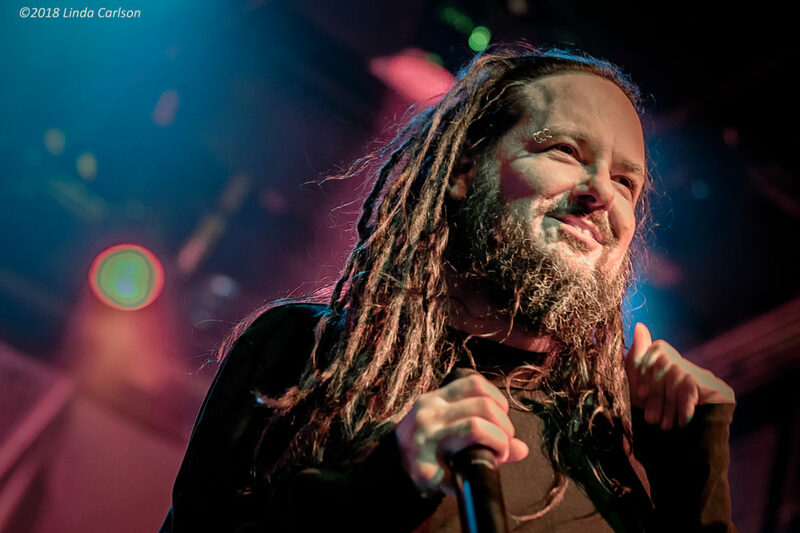 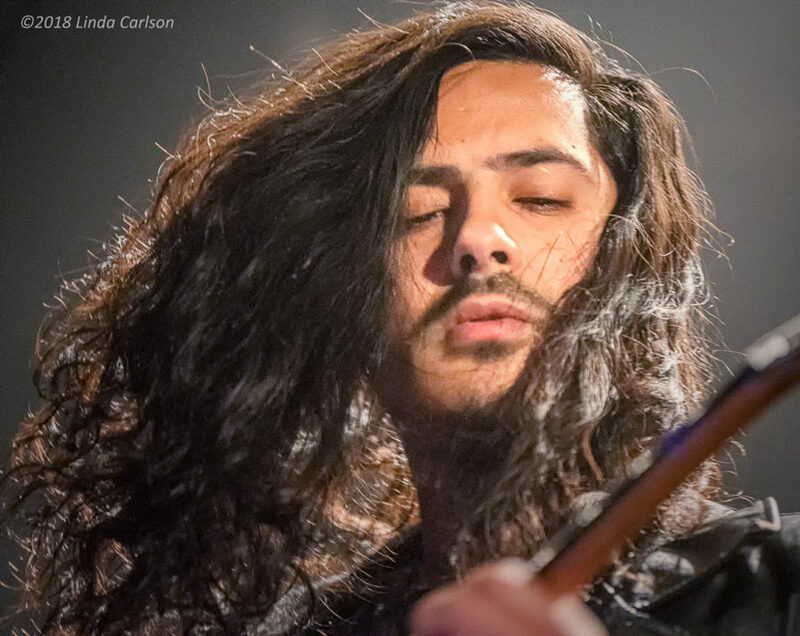 On break from Korn, Davis’ USA solo tour ends on May 18, and then he heads to Europe beginning June 1. 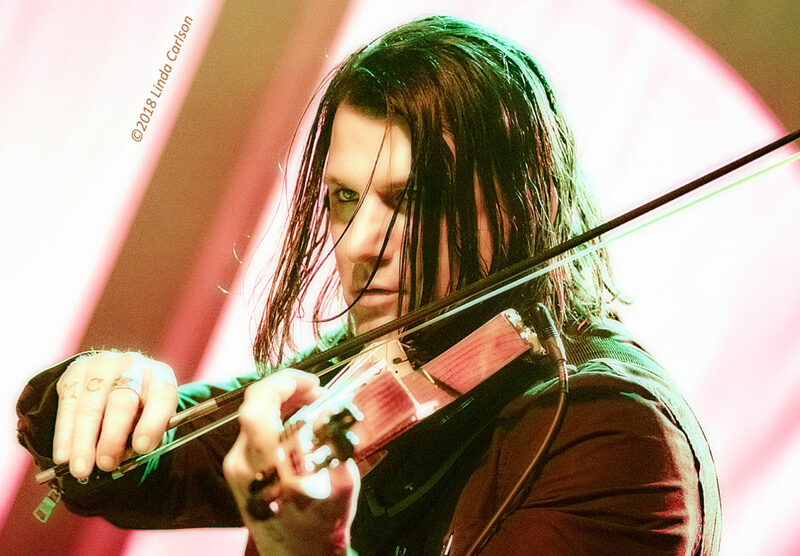 If you get a chance to catch his show, do it! 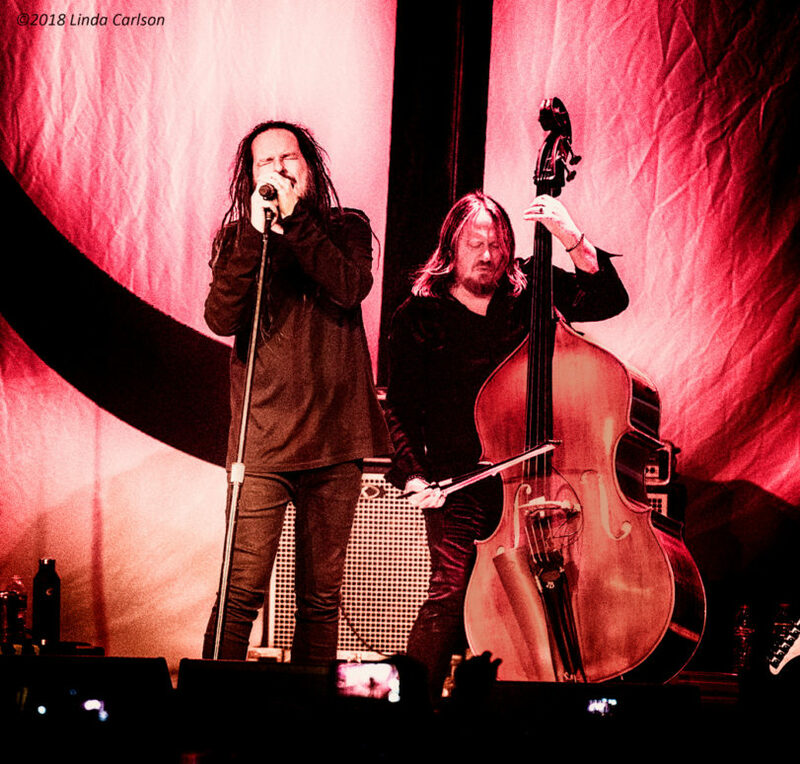 He and the band were amazing. 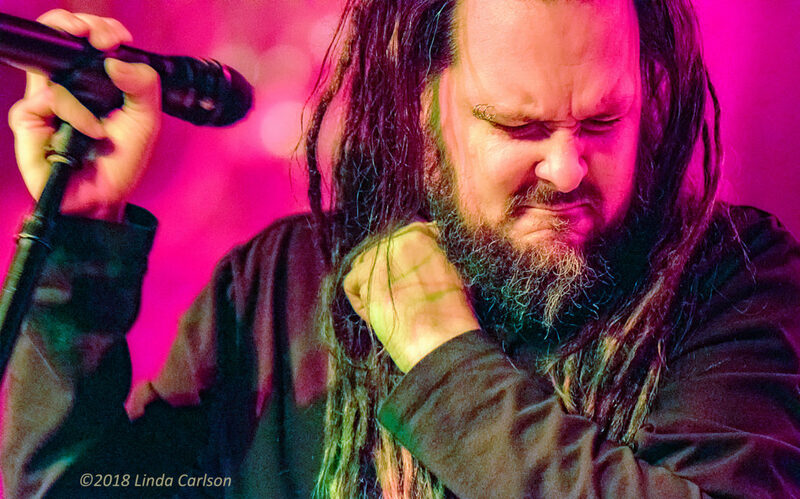 His album is being released May 25… give it a good listen if you want insights into Davis’ life view.